Ponsi Trivisvavet, CEO of Inari, talks Wednesday (Nov. 7) about why the Cambridge, Massachusetts, company decided to expand its operations to the Purdue Researrch Park business complex in West Lafayette, Indiana. The Seed Foundry will fundamentally challenge the seed industry with a shorter, lower-cost and more precise product development cycle complementing Inari’s Cambridge base. Strategic expansion to Purdue will further enhance Inari’s product development and innovation through its association with Purdue College of Agriculture. Inari, a Flagship Pioneering company, on Thursday (Nov. 8) introduced the world’s first Seed Foundry as part of the company’s mission to reintroduce genetic diversity, revolutionize the seed industry and create a food system that is environmentally responsible, promotes better health and is more resilient. Purdue Research Park business complex, in West Lafayette, Indiana, will be the next strategic location for the Cambridge-based Inari to fuel its product development and innovation in order to restore the naturally rich building blocks of agriculture enhanced by its proximity to the seed industry and the Purdue University College of Agriculture. Inari is disrupting an industry by utilizing the natural genetic diversity in plants, equipping crops to be more resilient to climate change and respectful to the environment — all while significantly lowering product development costs and accelerating the timeline for introduction of new varieties. Inari will accomplish this by using genetic knowledge to make precise changes to genes to deliver desired field performance through customized seeds for microclimates around the world. “We are looking forward to tapping into the community and research prowess of Purdue. Establishing a base in Indiana will not only allow us to ramp up our product development efforts, but it puts this activity in close proximity to seed companies, which we view as the best partners to reintroduce genetic diversity in agriculture,” said Inari CEO Ponsi Trivisvavet. Purdue has been on the forefront of agriculture, particularly digital agriculture, bringing together researchers, students, farmers and others to change the agricultural landscape. Purdue has had three World Food Prize laureates since 2007, its College of Agriculture was rated as the ninth best in the world by Quacquarelli Symonds and its Department of Agricultural and Biological Engineering was ranked as the top program in the country by U.S. News & World Report. The College of Agriculture's International Programs in Agriculture (IPIA) collaborates with educational institutions, agencies and organizations throughout the world. Karen Plaut, Purdue’s Glenn W. Sample Dean of Agriculture, said working with Inari will create opportunities for faculty, students and others involved in agriculture. 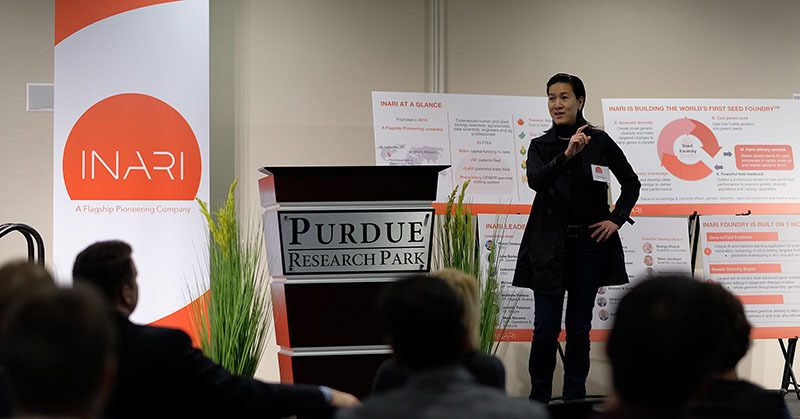 Johnny Park, CEO of the Wabash Heartland Innovation Network, a consortium of 10 Indiana counties, said Inari’s arrival in the region is exciting because its goals align with WHIN’s mission to build on three Midwestern strengths: digital agriculture, next-generation manufacturing and regional vitality. Inari aims to revolutionize plant breeding by merging the latest technologies with leading-edge data analysis tools to bring top-performing plants to market faster with the aim of cutting breeding time by two-thirds and cutting development costs by up to 90 percent. Inari also plans to combine biology, agronomy, data science and software engineering to make innovative breakthroughs by working with seed company partners. Inari’s total 26,000 square feet at Purdue Research Park will consist of an office space, lab and a 6,000-square-foot greenhouse complex. Growing the Inari team, currently at 65 people, the team based out of Research Park will add another 50 people by 2023 and consist primarily of scientists and product development teams. 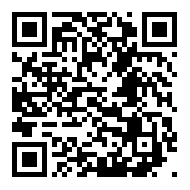 A video about Inari’s emerging disciplines is available here.